– The Hoopa Tribal Offices and NF shall be open during regular hours until 5 pm, thus if anyone would like to warm up or charge some small devices in available outlets: they are welcome to stop by the NF. – The PG&E crews working at the Hoopa substation are aiming to have the generators working and operational before 4 pm today–ideally sooner. – Tribal Departments are making efforts to check on elders and critical members of the Hoopa population. – Limited amounts of Firewood is available for people who need it; please call the Hoopa Fire Department for more information at 530-625-4366. – Tribal Departments are making preparations in any area possible for the upcoming snow storm this week. – Tribal Departments with generators and heat will be open today until 5 pm unless otherwise notified. – As of right now, Early Headstart and Headstart should resume tomorrow morning at regular hours. 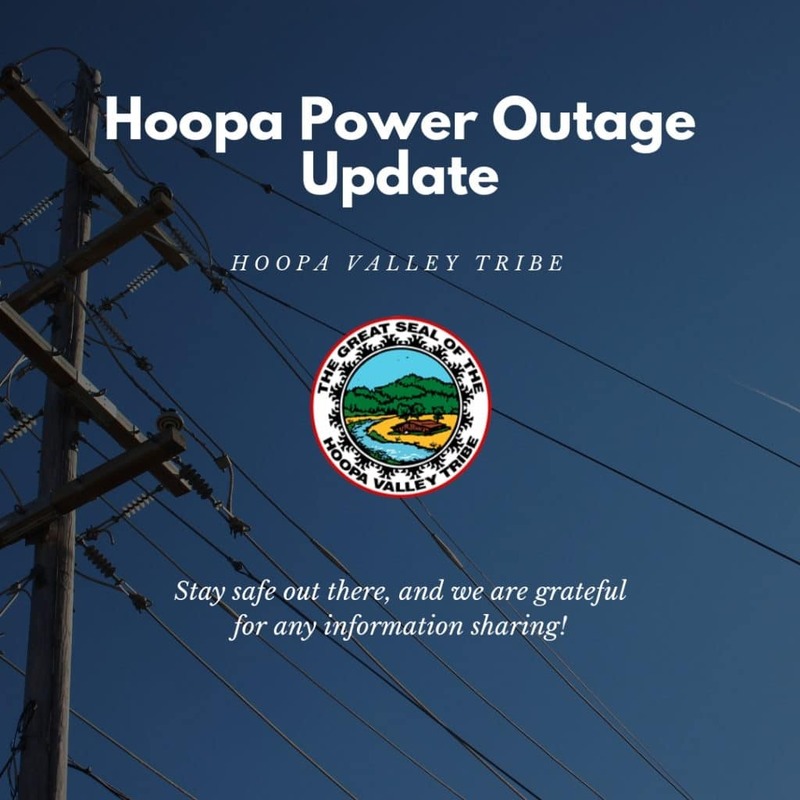 – Helicopters are currently flying over areas near and on the Hoopa Valley Reservation to survey any downed power lines. – Bair Road should be open before the end of today. – Expect delays between Hoopa and Willow Creek due to crews cleaning debris and clearing trees off of the road. – Lastly, due to some power lines in Hoopa being more damaged than others, some Hoopa residents may have their power restored before others. Note: any information provided here is subject to change based upon weather or other conditions.